Coming back on Dora Mac for a combined rest and work on the boat was a real nice experience. I came here all by my lonesome to a weather way more pleasant than this summers heat. With a day temperature a bit over 20 C and around 15-16 in the nights this is more like Scandinavian summer.In the nights it´s a bit cold and the Sigmar dieselheater comes in very handy in the saloon. 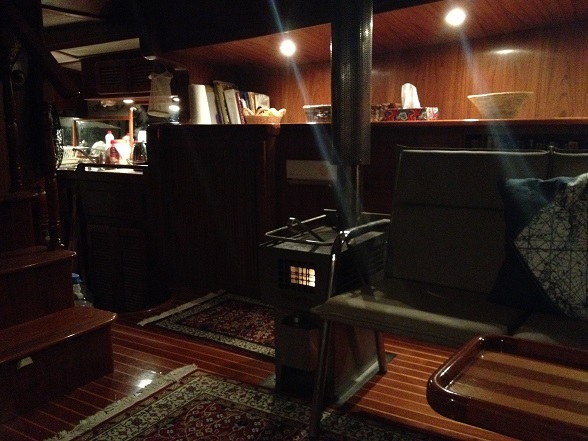 In the aft cabin the aircondition reversed heating keepes the temperature you wish. 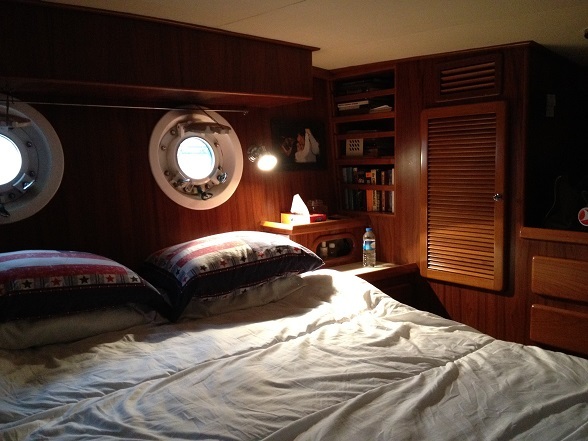 Living onboard a DD-462 like this is very comfortable.It´s like having your own summerhouse allthough staying afloat.